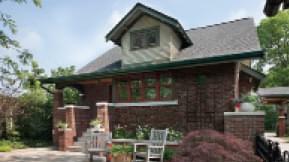 Here's a look at the winners in all six categories: Best New Home, Best Remodel, Best Small Home, Best Energy-Smart Home, Best Traditional Home, and Editor's Choice. Click here to explore the entire 2019 HOUSES issue online. Here's a look at the winners in all six categories: Best New Home, Best Remodel, Best Small Home, Best Energy-Smart Home, Best Traditional Home, and Editor's Choice. Click here to explore the entire HOUSES issue online. Here's a look at the winners in all six categories: Best New Home, Best Remodel, Best Small Home, Best Energy-Smart Home, Best Traditional Home, and Editor's Choice. 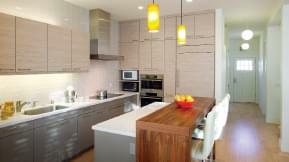 Site constraints and a desire to optimize the view drove the design of this subtle small home. 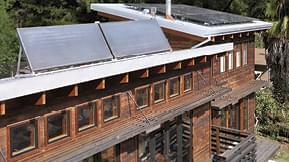 This California home combines traditional passive-solar strategies with new-age materials. 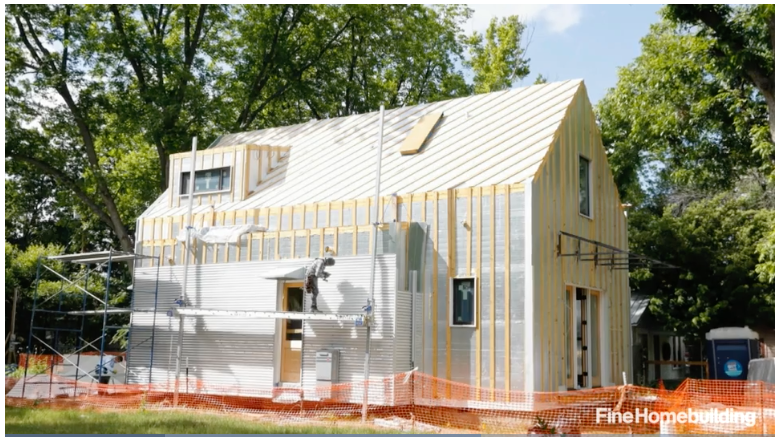 This compact near-zero-energy home is designed for those looking to live well with minimal impact. 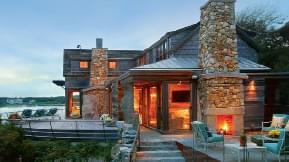 A home on the edge of the Atlantic celebrates its site with a fresh take on traditional style. 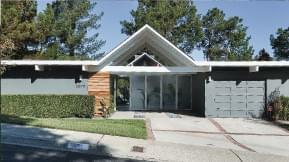 The signature features of an iconic 1964 Eichler are revived in this light and bright remodel. 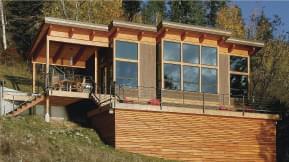 With savvy space planning and rich, natural finishes, this prefab cabin feels much larger than its 550 sq. ft. 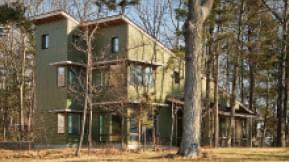 This Texas house borrows from the ground and the sky for net-zero energy use and complete water independence. 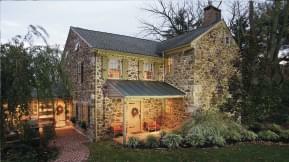 The spirit of a Revolutionary War-era stone farmhouse is restored with all the comforts of contemporary living. 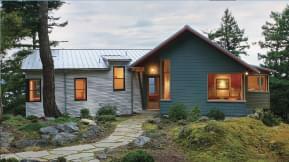 An unassuming Northwest island home combines light and views with inviting nooks for cloudy-day refuge. 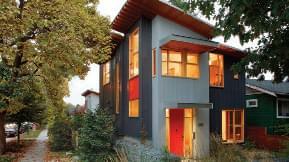 Building a new home in a dense neighborhood demanded a smart approach to modern home design. 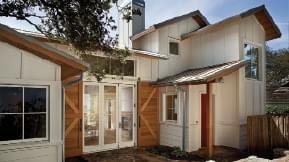 A small home addition and a savvy design transform a small California bungalow. 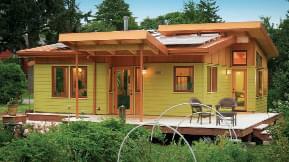 At 1,000 square feet smaller than the average custom home, this compact house is comfortable, practical and attainable. 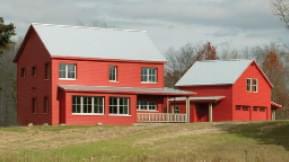 A Maine architect designs Michigan’s first certified Passive House to be rooted in tradition, and outlines lessons for builders of custom homes. 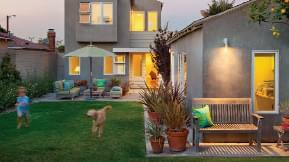 A smart remodel retains its arts-and-crafts bungalow roots. Architecture the way we like it. 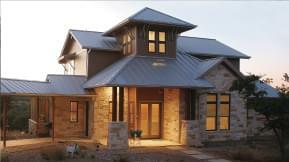 This is custom home design flush with practical lessons replicable in any new home or home remodel. 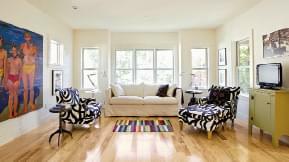 With its exceptional performance and equally considered style, this certified Passive House on the Monterey Peninsula in California exemplifies what we believe to be fine home building. The extensive restoration and reinvention of this Edwardian San Francisco row house successfully bonds preservation with performance while maintaining a critical focus on the homeowners' lifestyle. Set among existing gardens, the third-party-certified green house in Eugene, Ore., relies on shared spaces and connections to the outdoors to seem larger than its physical boundaries. 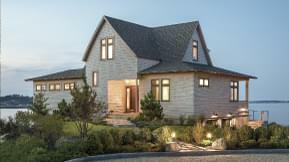 The home on the Maine coast achieves extraordinary energy performance through a design based on proven assembly methods and carefully executed, straightforward construction techniques. 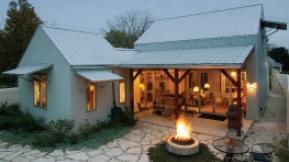 Designed with an emphasis on long-term livability and built with regionally-appropriate, durable, and low-maintenance materials, this home in Boerne, Texas is remarkably fit for aging in place in style and comfort. 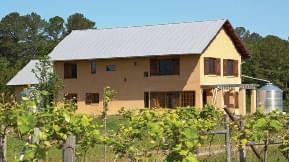 This heirloom house is built to harvest water and power from the sky, conserve energy within its state of-the-art masonry walls, and present for centuries a sturdy defense against the inevitable hurricane churning up the Carolina coastline.